Agriculture Secretary Sonny Perdue has issued a directive that all employees must work in their offices four days per week and can telework only two days per pay period, angering some employees who have been teleworking more than that for years. The directive gave U.S. Department of Agriculture employees 30 days to make themselves available under the new schedule. The Hagstrom Report obtained a copy of a USDA “frequently asked questions” fact sheet in which the telework directive is only part of a larger personnel initiative known as OneUSDA that will involve other changes in the coming months. “OneUSDA is a call to action, an operating model, a reminder to all of us that we are part of one team, working together to provide the best service to our customers,” the memo begins. On teleworking, the memo stated the Trump administration believes employees need to be in the office to serve the public and to interact with each other. “As part of the OneUSDA initiative, we are requiring a greater physical presence in all USDA offices. We recognize the importance and value of telework. We also want to encourage greater collaboration and provide the best customer service to both internal and external stakeholders. We believe this change will make us more accountable to the American taxpayer and more accountable to one another,” according to the memo. “Employees will be permitted to telework two days per pay period and must be at their duty station four days each week. When telework is used to address space availability restrictions, such as the use of hoteling or desk-sharing, supervisors may approve telework exceeding two days per pay period on a case-by-case basis,” the directive said. 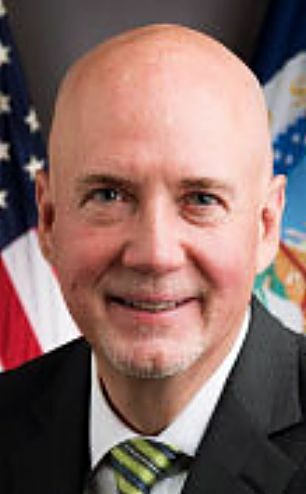 Perdue is not the first agriculture secretary to use the OneUSDA concept. Agriculture Secretary Tom Vilsack also used it in the Obama administration to try to encourage employees to overcome the divisions among USDA’s mission areas. But the spokesperson said the new initiative is not a continuation of past policy. “Secretary Perdue’s vision of OneUSDA is unrelated to policies of previous administrations,” the spokesperson said. An Office of Personnel Management report released in 2016 showed the percentage of USDA employees working from home varied among the divisions, but a large number of USDA employees do telecommute.